Young owners of several small manufacturing firms in the “shitamachi” area of Tokyo’s Ota Ward have built the nation’s first bobsled in an effort to demonstrate their technological prowess despite facing a prolonged recession that has gutted the historic area of factories. The project was proposed by Satoshi Kosugi, 36, of the Ota City Industrial Promotion Organization to “publicize” the abilities of small businesses in the area. Ota Ward was once home to 9,000 factories, but that number has been cut in half due to the nation’s long-lasting economic slump, intensifying global competition and a shortage of young people to take over the companies. Bobsledding is often compared with Formula One auto racing because of the speed and precision required to operate the sleds. But while companies like Ferrari S.p.A. and BMW AG aid in the development of bobsleds in Europe, there is no sleigh maker in Japan, meaning Japanese Olympic teams are forced to rely on used sleds imported from Europe. Junichi Hosogai, 46, president of metal processing firm Material Co., responded to Kosugi’s proposal, noting that Ota Ward has companies that have made parts for Formula One cars and jet fighters. He called on local plant owners, many of whom were in their 30s and 40s, as well as a processor of carbon fiber reinforced plastics in Maibara, Shiga Prefecture, to participate in the project. 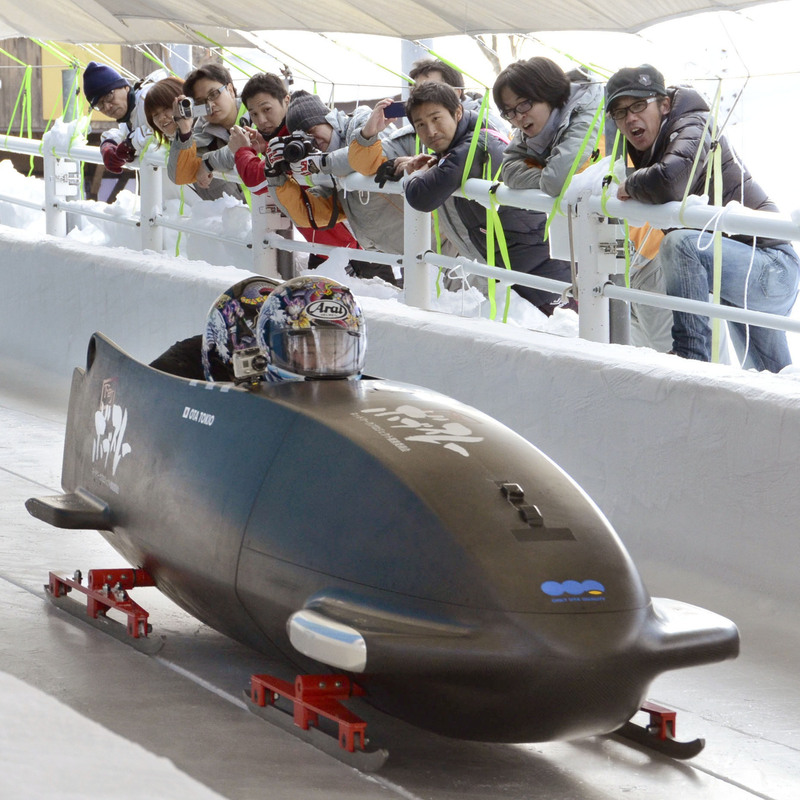 Hosogai worked out a blueprint for a bobsled based on a German-made model. When he presented his plans at a meeting of local plant owners in September, some 30 volunteered to take part in the project, offering their expertise in fields such as metal cutting and welding. 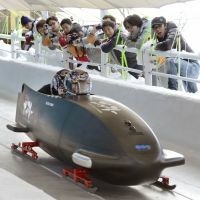 With participants working voluntarily until midnight — along with the day-to-day operations of the plants — the Shitamachi Bobsled was developed, ultimately winning the 2012 all-Japan championships held in Nagano Prefecture on Dec. 23. Work to develop a better sled in time for the 2014 Winter Olympics in Sochi, Russia, is ongoing.